This is far beyond a regular OBDII scanner. It read BMW specific modules and reset BMW specific codes very easily! It helps me diagnose problems on my E60 M5. 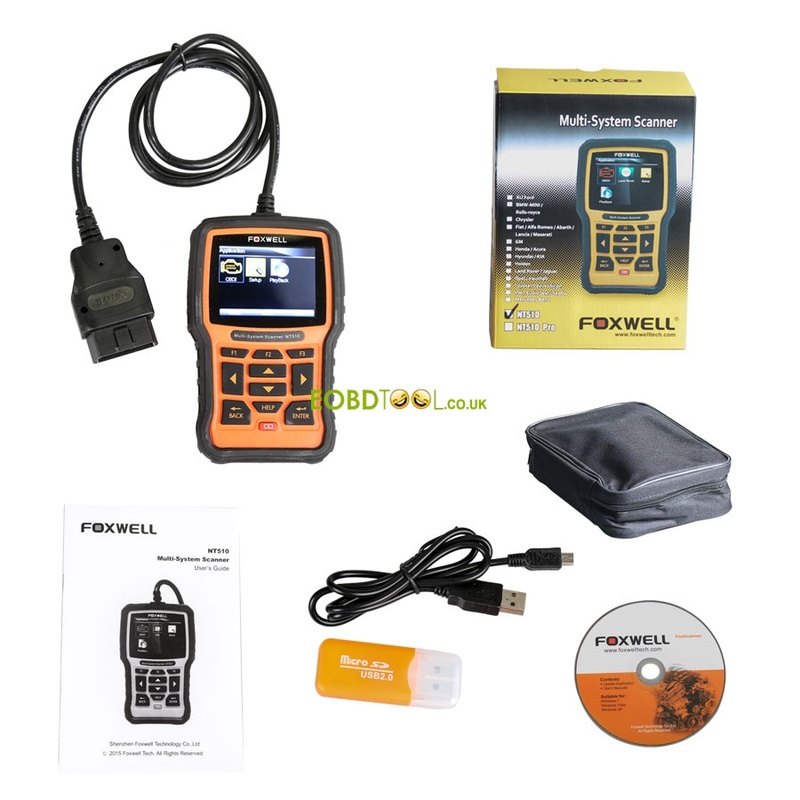 I can also perform BMW maintenance functions such as registering a new battery, read and clear adaptations activate and test all of the modules individually, engage the transmission…You will ultimately save money owning this FOXWELL NT510 scanner! With this, you can reset everything, live view as you drive, freeze, read fault codes and fault code details. It could be the best if the manual go deep enough. It allow me to read and reset airbag service light on a 2004 X3 that BMW service cannot track down as it clears from memory before I can get it in for service. It can also reset transfer case adaptations after transfer case fluid change in an F32. I have a 2007 328i Coupe. NT510 can determine which wheel speed sensor is bad. It provide sensor data from the oil level system on an F82 M4, The M4 apparently can only read the oil level with the iDrive, which we plan on permanently removing for non-street use. This tool alignment and calibrate fuel injectors on a 2009 535i N54 engine successfully, I tested that. And it can code for Xenon headlight conversions and also for activating *Sirius Retrofit Enable Code (FSC)* for Mini Cooper R56’s, but only some models not all. This interface FOXWELL NT510 with BMW program was amazing, easy and straight forward! This is the best scan tool for BMW DIYers! I have a 2004 BMW 530d that had the airbag and seatbelt lights on. Purchased the NT510 to check and clear codes. Worked great and easy to use! The auto scan detected several fails and cleared quickly. I also used it to read codes from a transmission control unit (TCU) on my friend’s 2003 e46 325xi. Where to get multilingual FOXWELL NT510 only €164/$172.2? FOXWELL GT80 MINI User Manual: How to deactivate WIN10 update?